The next big wearable hit could emerge at the Computex trade show in Taipei next week, and any attempt to steal the device off the show floor could be thwarted by Internet of Things security devices expected to be on display. Once a mecca for PCs, the trade show is becoming a go-to destination for smaller technology companies looking to cash in on the wearable and IoT gold rush. Smart wristwear, glasses, clothing, headgear and more are expected to dot the show floor, as the Apple Watch inspires many look-alike products and accessories. Major companies like Asus and Acer are also expected to announce new wearables and PCs at Computex, which is Asia's largest technology trade show. The show, however, will be dominated by little-known Asian companies that are gaining increasing influence in the consumer electronics industry. In recent years, such companies have helped drive down prices of mobile devices, and they could do the same for wearables. With 30 billion to 50 billion IoT devices expected to ship by 2020, companies will look to grab a piece of the fast-growing market. At Computex, meanwhile, a variety of home automation products, smart appliances, weather monitors, health gadgets, security and surveillance systems are expected to be on display. In previous years, trends like 3D printing have made their mark and faded away at the show. Now, IoT is here, with large hardware and software companies also giving the category more attention. Google is releasing its own OS for IoT, and Microsoft has developed a universal Windows 10 driver set to exploit a slew of environmental, biometric, proximity and motion sensors in wearables and IoT devices. The focus on wearables and IoT is an attempt to revive the relevance of Computex, which has declined in popularity since PC industry growth slowed four years ago. Trade shows like CES and Mobile World Congress have gained prominence as showcases for top mobile devices from companies like Samsung, HTC and Sony. Other big hardware companies like Lenovo and Apple are holding their own events. But for geeks, Computex remains a paradise. Gamers and high-end desktop users should in particular keep their ears open for news emerging from the show. Like every year, Taiwan-based MSI and Asus will show off their latest gaming systems and PC boards with support for DDR4 memory and USB 3.1 ports. The PCs and boards will also support new GPUs expected to be announced at the show. Technologies in gaming systems could eventually trickle down to laptops, mobile phones and tablets. Some early Windows 10 laptops and desktops could also be announced. However, many PC makers are waiting for Microsoft to provide the final release date for Windows 10 before they announce laptops and desktops preloaded with the new OS. While the timing of Computex is unfortunate with respect to Windows 10 announcements, Microsoft is holding an event to talk about the new OS and its cloud strategy with regional PC and mobile-device makers. For chip and component makers in the midst of constant change, Computex is still a showcase. Intel will announce a faster Thunderbolt connector technology, which could make Mac users happy. The chip maker could also share details on the elusive high-end desktop chip code-named Broadwell-H. But don't expect many announcements around Intel's highly anticipated chip code-named Skylake, which the chip maker wants to release in conjunction with Windows 10. On its part, AMD is holding a major press conference at Computex, where it could announce the mainstream laptop version of the Carrizo chips, also called "sixth-generation A-series" processors. The Carrizo chips for desktops have already been announced and are scheduled to appear in new HP PCs within a month. Separately, AMD has already hinted it will announce its latest GPU at the show. Mirroring the Intel-AMD battle in PC chips is the rivalry between Qualcomm and Mediatek in mobile processors. The companies are constantly trying to one-up each other on faster and more power-efficient mobile processors, modems and wireless connectivity. That rivalry is good news for users: Chip announcements from the two companies will lead to faster Wi-Fi, LTE connectivity and Android mobile devices. The chip announcements could have loose ties to updates on Android provided by Google at the I/O developer show this week. 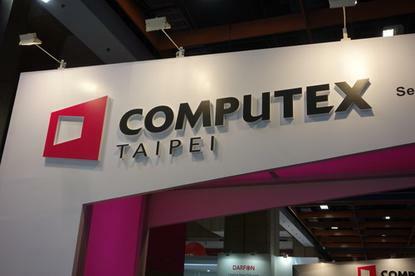 Computex will host 130,000 visitors, and 1,700 exhibitors are expected to display products in more than 5,000 booths.